I spent almost a month in Utah, attempting to straighten out the mess that Kier had made of the building and to make any repairs that I could. 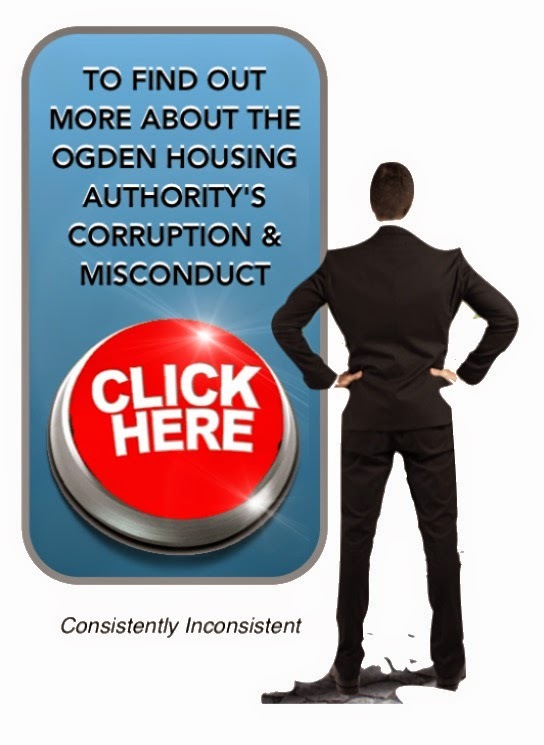 During that time, I discovered that, aside from herself and her 4 children, the tenant in unit #14 was also housing her 2 nephews and her boyfriend, without the Landlord's permission, or OHA authorization, which violated the terms of her lease. I also discovered that this tenants nephews, were systematically disabling or destroying the building's security systems, in order to give their friends and members of the O13 gang, access to the building. They had also spray-painted numerous O13 gang insignias on and around the building and had carved gang related graffiti into the building's 100 year old stairwell banisters and woodwork. These unauthorized occupants had also vandalized or destroyed most of the closed circuit, security cameras that were located in and around the building. They had also destroyed the magnetic security lock to the north lobby and had broken a large window in the north lobby's entry door. All of this was going on, right under Kier's nose and they totally unaware of any of it. In fact, the security lock on the north lobby door had been inoperable for more than 3 months, exposing the tenants to the danger of anyone having access to the building, yet Kier was completely oblivious to it all. In just the first few days of my stay, I had the 5 broken windows replaced in unit #1 and had the carpets cleaned and the unit painted and ready for rental again. It took Kier over 2-months just to get it looking like the mess in that earlier video ? I then began interviewing the tenants about the living conditions at the building over the previous 4 years. The overwhelming response I got from all of them, was that Kier did absolutely NOTHING at the building and hadn't done anything in years. The following pictures are transcripts of Statements made by the Residents. The tenant in unit #10 had been complaining that her refrigerator was leaking water onto her food and ruining it for years. She told me that she had started notifying Kier about it in writing, since she began living there. Fortunately, she had kept copies of those letters to Kier which you see here. This poor tenant had been forced to live with a refrigerator that was ruining her food and had been complaining to Kier about it since 2007, yet Kier did absolutely nothing to address the issue, as required to by paragraph 10 c of our contract. In the early days of owning this building, I would make surprise, unannounced visits to the building, to see how things were going. During the winter, I would drive by the building and become outraged at the tenants, because it would be 20 degrees outside and snowing and every single Resident would have their windows wide open. Because I pay for all utilities at the building and the natural gas bills typically ran $2,000 - $3,000 per month in the winter, I tried to address the issue of the tenants leaving their windows open with Kier on several occasions. Kier's response? "We could ask HUD for a special utility increase to help pay for the gas bills." (Something I later found out, you can't even do). During the course of our interviews, I asked the tenants why they were leaving their windows open during the winter, They told me that if they didn't open the windows, their apartments would get too hot for them. As it turns out, I discovered that Kier would turn on the boiler, when the weather turned cold in the fall and it would run 24/7, until the weather warmed up again in late spring. Kier finally made an attempt to address this issue in January of 2009, when Hoskins Heating and Plumbing recommended that I install a thermostat system in the building's stairwells, which would shut the boiler down, once the stairwells (and presumably the rest of the building) reached a preset temperature. This easy fix sounded too good to be true and I later discovered, it was... This thermostat system had ABSOLUTELY NO CHANCE OF WORKING! What Kier had neglected to tell me, was that some months earlier, they had the radiators in the north AND south lobbies disconnected, because they were allegedly leaking. cost me nearly $6,000. but never had a snowball's chance in hell, of working. 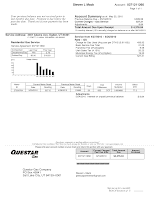 This is my Questar Gas Bill showing the reduction in usage for the winter of 2010. The first bar is from when Kier still managed the building. • Installing CFL bulbs throughout the building. • Repairing the broken exterior lighting timer. Throughout my stay, I continued to try and untangle the mess that Kier had made of my building. The next thing on my list was to change the billing address for the gas, electric and water utilities, as well as for the trash collection service. This proved to be a disastrous endeavor. I called the utilities to effect the change, only to find out that these accounts were not even in my name! It seems that Kier had initiated these services and opened the accounts, in their name, back in 1987 when they bought the building and performed the rehab on it. These accounts have remained open and in effect, in Kier's name ever since. 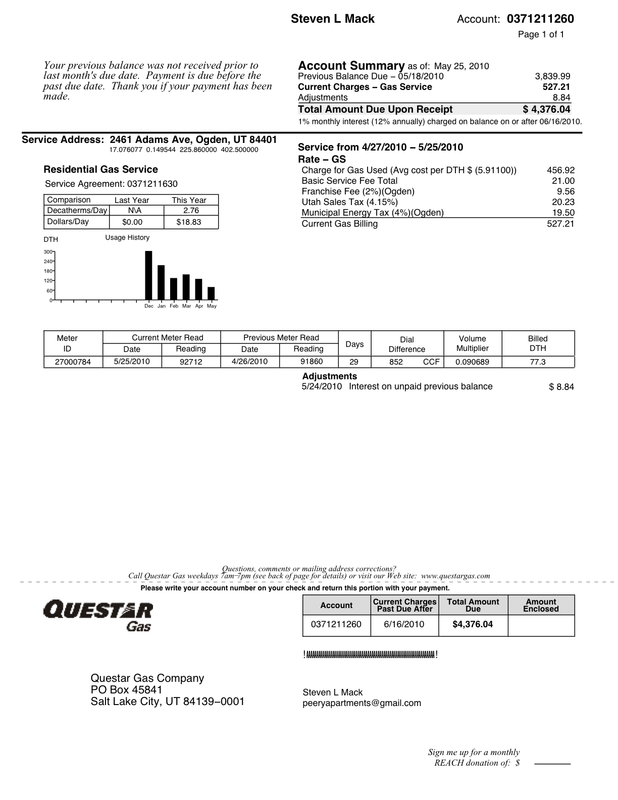 I returned to California a few weeks later, to find Questar Gas bills for every single property that Kier was managing, in my mailbox. 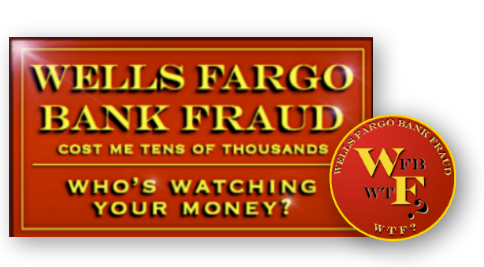 Questar had assumed that Kier was moving to California and sent all of their gas bills to their new address.... 21 bills in all. What I found out during the rest of this process is that, although there was over $7,000 in the building's checking account, Kier was more than 2 months behind in paying the Questar Gas, Allied Waste and Ogden City Utilities bills among others, choosing to write 3 checks to themselves for over $6,900 instead of paying these bills.